Lloyd R. Keever, age 90, of Gladstone, Illinois, passed away at 11:17 P.M. on Thursday, November 29, 2018 at the Great River Medical Center in West Burlington, Iowa. He was born on February 2, 1928 in Gladstone, Illinois, the son of George and Edith (Schmoldt) Keever. Lloyd attended G&O High School. On May 4, 1968, he married Mary L. (Monroe) DeVoss in Burlington, Iowa, and she is surviving. 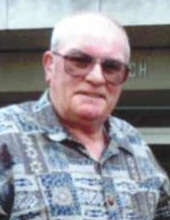 Lloyd worked at Lehigh Leopold Desk Company in Burlington, IA and later was a truck driver for Burlington Northern Railroad. Lastly Lloyd worked part-time in maintenance at J. C. Penny in Burlington, Iowa. Lloyd retired in 1993. He enjoyed fishing, camping, bowling, traveling, and was an avid Chicago Cubs baseball fan. Lloyd also enjoyed living with people of other cultures and fathered four exchange students and eight Vietnamese foster children. Lloyd is survived by his wife Mary, two daughters, Judy (Jim) Mooney of Gladstone, IL and Debbie (Wayne) Crawley of Burlington, IA, one son, Russell (Dixie) Keever of Ft. Wayne, IN,. Numerous grandchildren, great grandchildren, and great great grandchildren are also surviving. One sister, Ruby Gaddis (Jim) of Muskogee, OK, two brothers, Albert and Milton Keever of Oquawka, IL, Eight foster children, four exchange students, and many nieces and nephews. He is preceded in death by his parents, one sister, four brothers, his step-son Jay DeVoss, and a grandson, Scott Crawley. A memorial service is planned for 2:00 PM on Saturday, April 20, 2019 at Turnbull Funeral Home in Oquawka, Illinois. Interment of his ashes is to be in the Carman Cemetery in Carman, Illinois. A memorial fund is being established for the "Lions Club". To send flowers or a remembrance gift to the family of Lloyd R. Keever, please visit our Tribute Store. Guaranteed delivery before Lloyd's memorial service begins. "Email Address" would like to share the life celebration of Lloyd R. Keever. Click on the "link" to go to share a favorite memory or leave a condolence message for the family.